I wish to travel to Cape Town, Durban, Johannesburg and Knysna on my 8-10 days tour to South Africa in the month of December. I am travelling with my soul mate. I am interested in Adventure Sports, Beaches, Mountains, Nature and Wildlife. I am looking for economy hotel with US$ 20-30 per night and should be in city center. Can you also arrange a direct flight for me in economy class starting from New Delhi. I would like to cover my trip in a chauffeur driven. Please suggest me popular cities. Where can I find Indian food on my trip. I need help with food. A travel plan for Johannesburg and Cape Town is ready for you! Johannesburg and Cape Town are the most visited destinations of the African continent. I would suggest you to ditch Durban and visit Johannesburg and Cape Town. A vacation in one of the world's most beautiful region will fill your holidays with fun, adventure and peace. I would try my level best to create a suitable itinerary for you so that it leads to a memorable trip of yours. There are many flight options available as per your trip, but I would suggest you to travel via South African and Emirates. The total budget of your flights from New Delhi to Johannesburg, Johannesburg to Cape Town and return flight from Cape Town to New Delhi will cost 67, 112 INR per person. The flight from New Delhi to Johannesburg will have a flight change at AUH Abu Dhabi, United Arab Emirates. The flight no. 7679 of South African will take off at 04:30 hours from New Delhi and will land in Abu Dhabi at 07:00 hours. After waiting for three hours you need to board flight no. 2200 of the same airlines. The flight will take off at 10:00 hours from Abu Dhabi and will land at 16:40 hours in Johannesburg. The flight from Johannesburg to Cape Town is a direct flight. The flight no. 347 of South African will take off at 15:15 hours from Johannesburg and will land at 17:20 hours in Cape Town. The return flight from Cape Town to New Delhi will have a flight change in DXB Dubai, United Arab Emirates. The flight no. 773 of Emirates will take off at 13:25 hours from Cape Town and will land in Dubai at 01:15 hours. After waiting for three hours and fifteen minutes you need to board flight no. 510 of the same airlines. The flight will take off at 04:30 hours from Dubai and will land at 09:10 hours in New Delhi. Johannesburg is the most populated city in South Africa and it is also counted as the wealthiest provinces. 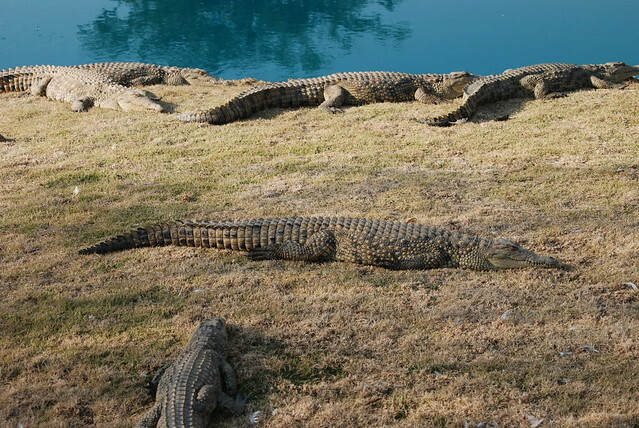 On the first day you can visit the Croc City Crocodile amp Reptile Park. Visit the Croc City Crocodile amp Reptile Park to catch a sight of one of the most dangerous predators at close range. Apart from these you get to see reptiles like lizards, tarantulas and venomous snakes too including the black and green mamba, boomslang and more. Here you will be given the opportunity to handle a baby crocodile as well. There’s well informed staff, a lovely tea garden and a huge playground for you gallivant around. You can spend a whole day here and after the tour relax in the tea garden that serves light lunches or enjoy a special pizza from the Pizza Restaurant then head back to your hotel. On the second day of your tour you can visit the The Gold Reef City. The Gold Reef City – an amusement park has something for everyone. Offering an entertainment extravaganza extreme in the south of Johannesburg, the amusement park has a lot more than just the typical stomach-churning rides. It’s located on an old gold mine which closed in 1971, but the mining heritage runs thick through its veins , with the staff wearing period costumes of the 1880s, while the buildings are designed to mimic the same period. When here, take a look at the 4D movie theatre, animal farm, a mini open air circus, slow train rides around the whole entertainment park, live entertainers and the various shops and restaurants. A day at amusement park like this is really an adventurous ride. After spending a day here you can head to your hotel. You will have had enough of adventure and sports until now and will have more in the days to come. Therefore, on the third day you can visit the Johannesburg Botanical Gardens and Johannesburg Zoo. The Johannesburg Botanical Gardens are ranked a stop spot this one is worth atleast one visit. A popular spot amongst joggers, picnickers, nature lovers and newlywed posers, these are rarely beautiful sight for the eye. There is also the Emmarentia Damn in the same breadth. Combine your visit to the botanical garden with a visit to this damn which spreads across 81 hectare gardens and is an ideal spot during the summers when you are wanting to fish or row. The Johannesburg Zoo is a 55-hectare zoo in Johannesburg that was established in 1904. The zoo is dedicated to the accommodation, enrichment, husbandry, and medical care of wild animals, and houses about 2000 individuals of 320 species. 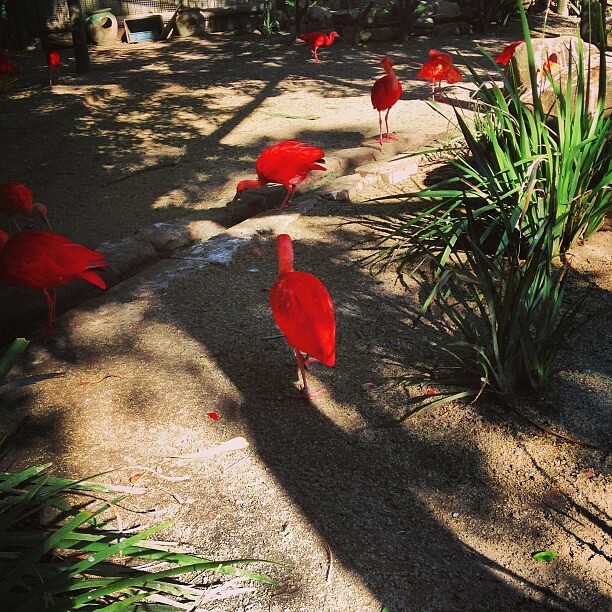 There are tours and excursions around the zoo are offered under the auspices of the zoo's education department. 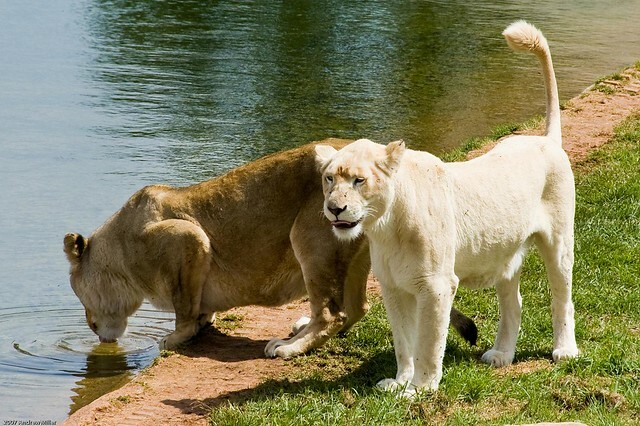 It is one of the few places in the world with white lions and has had considerable success in their breeding; these are more sought after than tawny lions by other zoos. Max the gorilla was probably the Zoo's best known resident. With this you can call it a day and then head back to your hotel. 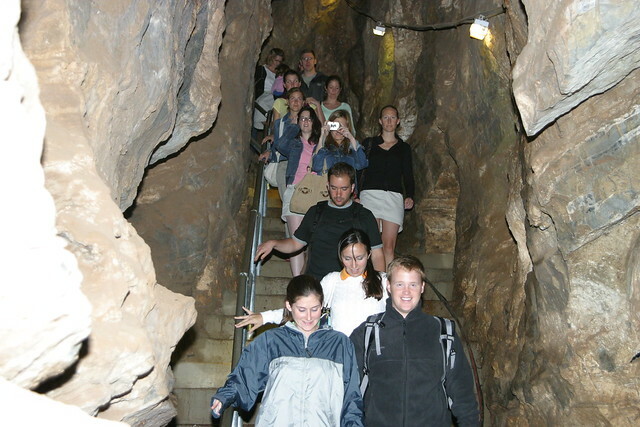 The itinerary of the ninth day should include a visit to the Cradle of Humankind and Lion Park. The Cradle of Humankind is a World Heritage Site first named by UNESCO in 1999, about 50 kilometres northwest of Johannesburg, South Africa in the Gauteng province. It is the world's richest hominin site, home to around 40% of the world's human ancestor fossils.The 53 000ha area is also home to a diversity of birds, animals and plants, some of which are rare or endangered. Lion Park is a 2 square kilometres lion wildlife conservation enclosure in Gauteng province in South Africa. 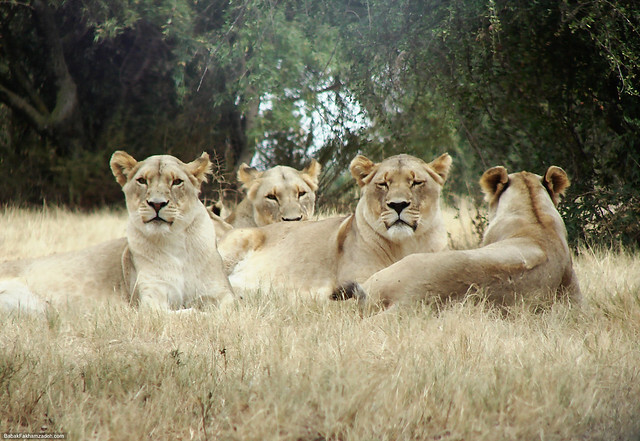 The Lion Park is home to over 80 lions including the rare white lions and many other carnivores such as cheetah, wild dog, brown and spotted hyena, black backed jackal, and a wide variety of antelope which roam freely in the antelope area. The antelope area, containing blesbok, gnu, impala, gemsbok, and zebra, is in a separate part away from the lions and other carnivores. After exploring this you can head back to your hotel as the next day you need to head to your next destination that is Cape Town. The flight from Johannesburg to Cape Town is also a direct flight. The flight no. 359 of South African will take off at 17:45 hours from Johannesburg and will land at 19:50 hours in Cape Town. On the first day you can visit the World of Birds and go for the cable car to the Table Mountain. The World of Birds, the largest bird park in Africa and one of the few large bird parks in the World. Over 3 000 birds (and small animals) of 400 different species are uniquely presented in more than 100 spacious landscaped walk through aviaries, allowing you the most intimate closeness with nature. Enjoy a fascinating glimpse into the private lives of birds. Get a close-up view of them as they feed, sing, display, socialize, build nests, incubate eggs and feed chicks right before your eyes – an unforgettable experience. Meanswhile you could also enjoy some time with the endearing jackass penguins (so-called because of their unrefined singing voices that resemble those of braying jackasses) who call the African Penguin Colony at Boulder’s Beach home. For a small extra fee, you can spy on slippery sea life or beach babes through the binoculars dotting the walkway. Since you are the adventurous type, you could choose from catching cable car up Table Mountain or diving into shark infested waters. Try the Abseil Africa rope that is the world’s highest commercial abseil even at a height of 112 metres. 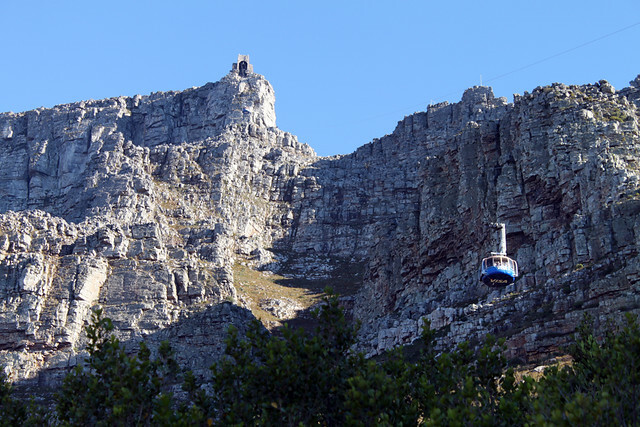 For those who would not want to opt for something extremely adventurous, the Table Mountain cable aerial way is your safest bet. 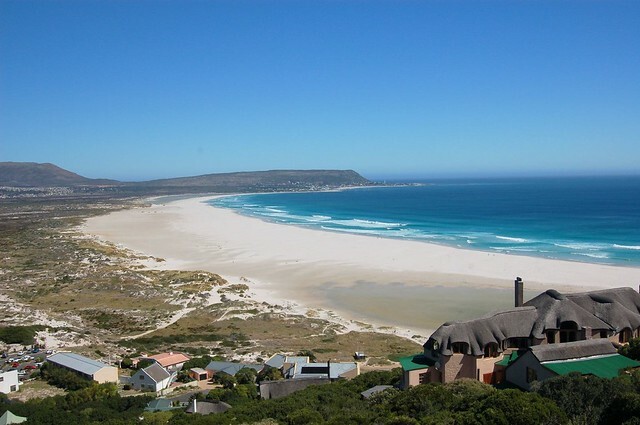 On the second day of your stay in Cape Town you can go for Sandboarding at Maitland and visit NoorDhoek. Another extremely exciting sport you could try is the sandboarding. Try the sandunes at Maitland. It’s challenging and a task to reach the top, but once accomplished, you are sure to find the view from the top extraordinaire. The dunes are easily accessible and provide hours of fun. The way down, of course, is the best part. And what’s more is there is no compulsion for you to have a sand board. Anything that you can slide comfortably on will do you good, even trays and pieces of cardboard. There are also three hiking trails - The Sir Peregrine Maitland Nature (3 km), the Igolomi Trial (4 km) and the De Stades Nature Trail (9km). Noordhoek is situated at the foot of Chapman's Peak. It has a delightful village atmosphere with awesome mountain and sea views. Horse-riding at Noordhoek Beach is one of the most famous activity. You can Combine a 2-hour horse ride with a bush ride here. You also get to sight bird life in abundance here since the bush ride circles the wetlands, water birds, cranes, geese and rare flamingo flocks. If you prove lucky, you might just get a glimpse of the dolphins playing in the waves, with occasional sighting of whales. After this you can head back to your hotel to take rest. On the seventh day of your tour you should visit the Clifton’s Beach. 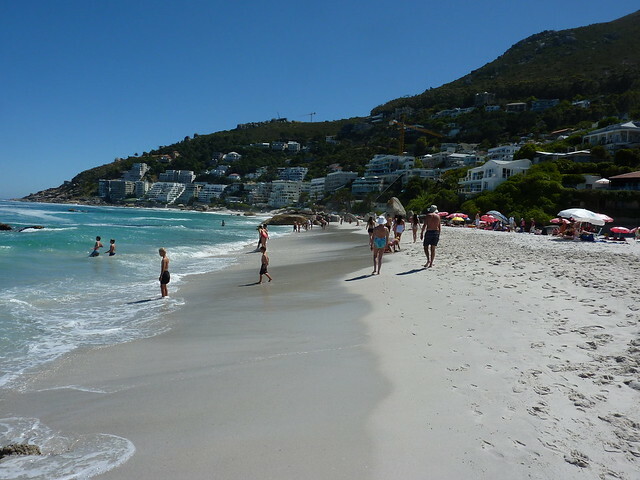 It takes about 10 minutes to drive from the city centre to any of Clifton’s four beaches. Coves of soft white sand separated by giant boulders that protect them from summer's notorious south-east wind, each beach attracts a slightly different crowd though undoubtedly the most popular is Clifton 4th Beach. In many ways it is the unofficial playground of the rich and beautiful but Clifton 4th is a classic Cape Town beach with a great holiday atmosphere. Bronzed bodies soak up the sunshine, vendors wander back and forth selling cold drinks and ice lollies, yachts bob about on the aquamarine ocean - just remember that the Atlantic Ocean here is icy-cold and you won't be doing much swimming. After spending a whole day here, you can head back to your hotel to rest. On this day you can head to Simon’s Town. Take a step back into a bygone era by taking a day trip on an Atlantic Rail steam train from Cape Town to Simon's Town. Atlantic Rail run regular day trips around the peninsula from Cape Town to Simon's Town return and the duration of the trip is approximately 5½ hours. The train consists of wooden bodied vintage coaches dating from 1922 to 1938. One of the coaches is a lounge car with a full cash bar service. The steam locomotive used is a Class 24 steam loco built in 1949. The scenic route starts with the train leaving Cape Town and travelling between the famous Newlands rugby and cricket grounds to Muizenburg. 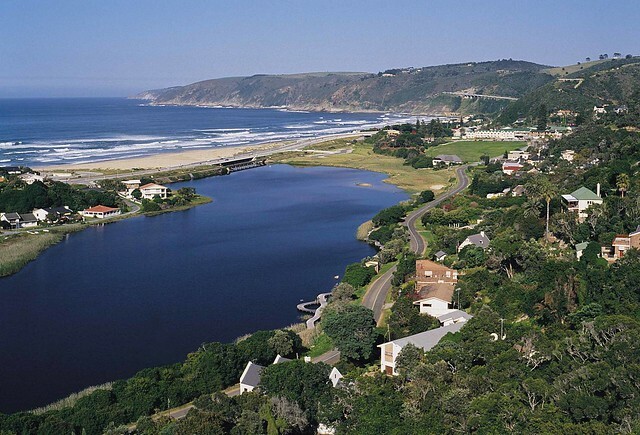 From there on to False Bay, the view of the ocean is magnificent. 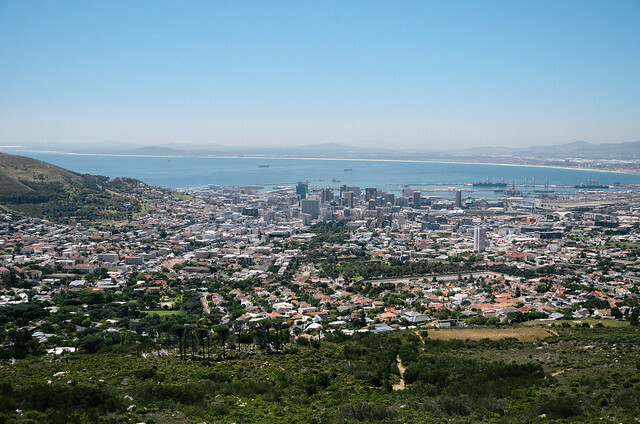 The railway line follows the coastline as it travels through the quaint villages of St James and Kalk Bay, then winds through Fish Hoek and Glencairn, finally coming to an end in Simon's Town with a view of the naval dockyard. 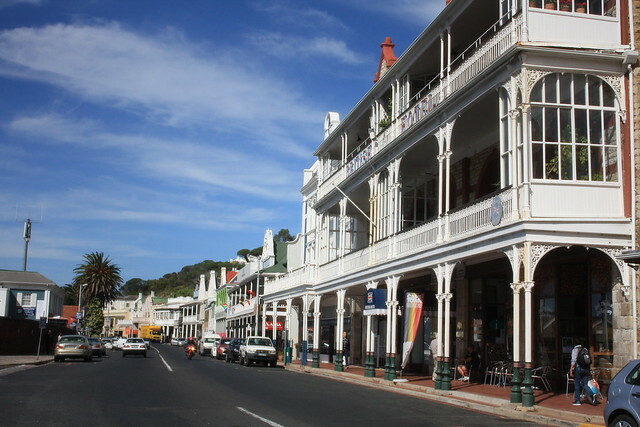 Passengers are free to explore Simon's Town, stroll to the beach or have a bite to eat at the many cafes and restaurants. The train then returns along the same route back to Cape Town. After exploring this place, you can head back to your hotel as the next day you got your flight back to New Delhi. This is the last day of your trip you need to head back to New Delhi. Your return flight is scheduled in the afternoon so make sure you pack all your belongings carefully and reach airport three hours’ prior your flight timings. Day 3: Johannesburg Botanical Gardens and Johannesburg Zoo. Day 4: Cradle of Humankind and Lion Park. Day 5: World of Birds and cable car to the Table Mountain. Day 6: Sandboarding at Maitland and Noordhoek. I wish to visit Johannesburg on my 11-15 days tour to CAPE TOWN and South Africa in the month of December. I am travelling with my spouse. I am interested in Nature.